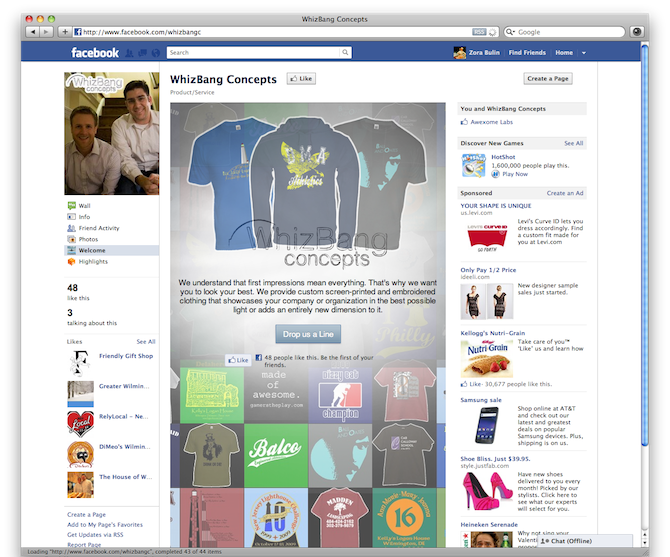 WhizBang Concepts approached us to reimagine their outdated web materials and establish their social media footprint. We overhauled their web identity by building a website with flexible content regions, blog-forward design, and a customized and deep portfolio that allows them to really show off their great designs. Awexome Labs advised WhizBang on how best to build out their Twitter and Facebook identities and used a handful of open source tools to unify their social media profiles and deeply link content between Twitter, Facebook, and their website. A Facebook Landing page for new customers ties the entire social media experience together with blog broadcasting, Twitter-Facebook syndication, and a healthy injection of social plugins on their site including featured tweets, Like buttons, and more. 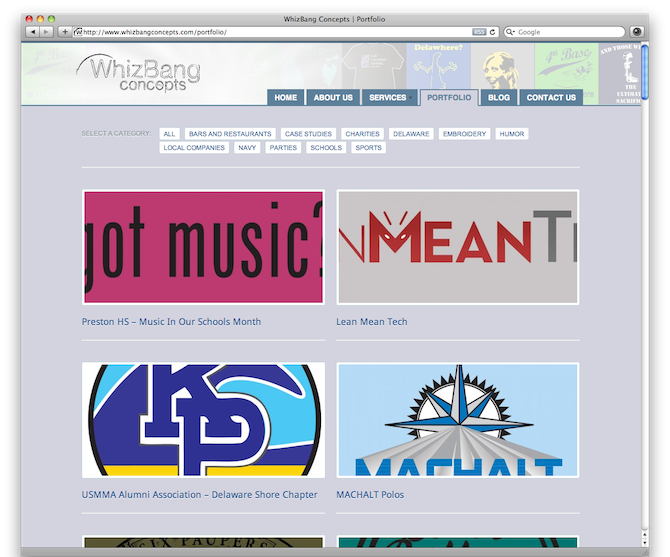 When we first started the project, we helped WhizBang bring their email system into the 21st century by configuring professional @whizbangconcepts.com email addresses and giving them complete control over a custom installation of Google Apps for Small Businesses. 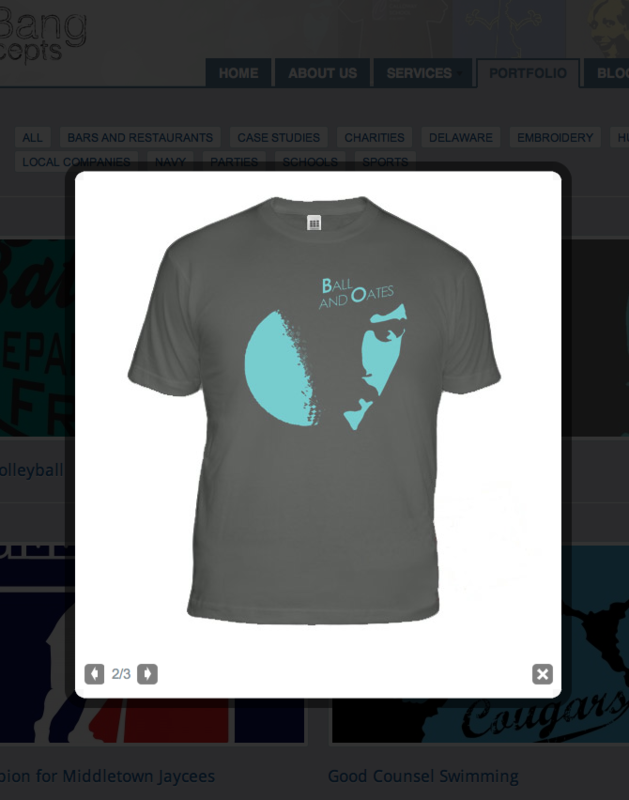 Now, they’re communication is as professional as their site and social media presence. 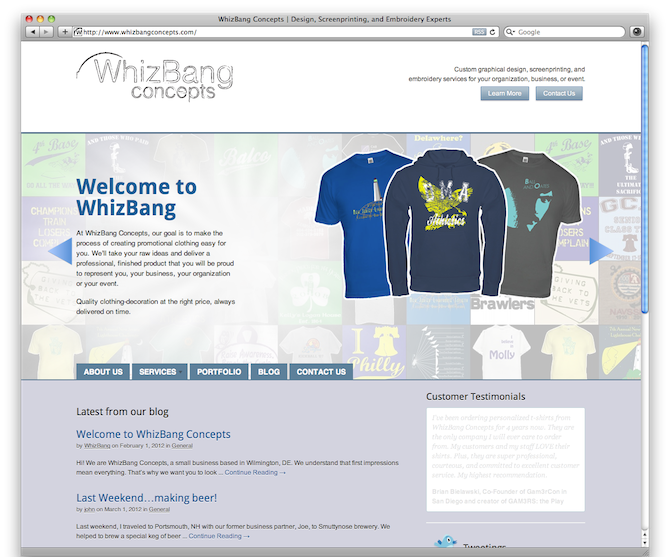 Check out WhizBang’s new site or take a look through their robust and gorgeous portfolio. Working with this small business was a blast and now they’re doing great things pushing the boundaries of social and web content for a small business.